Without optimized on-page SEO and off-page backlinks your content has a competitive disadvantage. What is on-page affiliate SEO and why is it important in affiliate marketing? Think of it as your content and all of the additional html and information that helps search engines find it. It’s what makes it relevant to the user who made the search query. Affiliates are particularly dependent upon organic search to drive visitors to their sites. In most cases, paid search is not cost effective so SEO drives the organic search results to create your audience. Well, then there must be off-page SEO? Yes. Off-page SEO is all of the external references to your posts. These are your backlinks. It is the key to your domains authority. You want to reach out to other sites via guest posting, forum posting, videos and infographics – even social media, PBNs and other links you have editorial control over.. We will cover these SEO strategies in an upcoming article. Keywords are still the lifeblood of an affiliate marketing traffic strategy. Some keywords will just be too difficult for a new site to rank for. They are dominated by large companies with a long history and large marketing budgets. Others are just too obscure to matter. Yes, I can rank number one for “cheapest pink rooster sunglasses”, but no one searches for it. So no traffic from it. Google is now well beyond just keyword lookup in your documents. They are using semantic processing and complex data mining techniques to understand your information better. Just covering your post with the target keywords is a bad idea and can even have negative effects. Overuse, or keyword stuffing, will have a negative impact on your articles ranking. Even though they are becoming less important, you still want to strategically use them. Put your primary specific long tail keyword you want to rank for in your Title, H1, one image alt tag, and early in the first paragraph. A few more references are fine, it needs to feel natural. As a quality writer if you were using the same adjective multiple times you would look for a synonym. Semantic keywords are the words that give relevance to your post. Imagine you are writing about breadcrumb navigation for a website. If a search engine simple found the articles that had great information about breadcrumbs you would see posts about at least 3 topics; web design, cooking, and Hansel and Gretel. For the breadcrumbs search, it is the surrounding keywords of “navigation”, “BootStrap” and “SEO “etc. that will give you placement for breadcrumb navigation. Many of these related keywords will flow naturally from your writing. There are a few products you can use to check that you have covered the most popular semantic keywords. First, you can use Google auto-suggest as illustrated in the image. When you start typing you will be given suggestions. Another option is LSI Graph, a popular free tool. We have a quick tip on using LSI Graph to find article topics. Other popular free semantic keyword products include Moz KeyWord Explorer, Soovel, and Ubbersuggest. Soovle is a tool that uses auto-complete suggestions for a number of search engines including Bing, and Amazon. Ubbersugest works similarly to Soovel but uses the Google autocomplete data exclusively. Both are free tools. If you have the budget nothing beets SEMRush in this area. The big brother of semantic tools is TF-IDF. This is an information retrieval technique that can help calculate and improve the topical relevance of your article in relation to your competitor’s. Check out our in-depth post on TF-IDF. With affiliate marketing, it is important that you focus on keywords with buying intent. You are not trying to drive generic information seeking traffic to your site. You want visitors that are looking for reviews, sales, pricing, comparison etc. Most SEO’s put keywords into three categories: informational, navigational, and transactional. Affiliates need to target buying keywords and to some extent navigational ones. Information keywords are being searched for the purpose of research not buying. Long tail keywords are those with a few words after the head keyword. in our breadcrumb navigation example, it would be “breadcrumb navigations code”, “breadcrumb navigation CSS”, etc. These lphrases are searched less frequently than the head keywords but they are much less competitive. You have a much better chance of ranking on page 1 of SERP with these. Google is now much smarter about “good content” than they have been in the past. Spinning, duplicate text, and very low-quality article mills will not cut it. It is a tricky challenge though because writing is expensive. If you are a strong writer, do the affiliate linked, money posts yourself. This will make you more in-tune with your readers. If you can’t or choose to outsource writing, there are many resources. We compiled a list of outsourced writing resources you may find useful. Lower cost sources can be used for the 1000-word review and informational posts. This combination of self-authoring, premium authors for money posts and budget authors for informational posts work well for me. You need to create a good-sized body of work to get more backlinks and ranking. Outsourcing some of the writing will also help with the velocity factor. But there are other considerations as well. It should go without saying that you use someone else’s copy and expect it to rank. There was a time when an Amazon storefront with just product descriptions and images pulled from Amazon could rank. No longer. If you outsource your writing be sure to check for plagiarism. Free sites like Copyscape will provide this service. If you have multiple sites or have a need to use the same text in two locations you must use the canonical tag to identify the one you want to be considered the original. When you use Yoast SEO tools it will advise you that the post length is fine over 350 words. Well, it may be fine in that it will get indexed but longer posts definitely rank better. There is an implied relationship between length and thoroughness. Not to say that each post needs to be 5000 words, or worse yet dumping in lengthy quotes or other filler text just to make it longer. Better to increase the scope of the article. Instead of the Top 3 Fidget Spinners make it the Top 10.. Roundup articles should be 1500-2000 words or more. And single product or point information posts in the 1000 word range. Quality matters now. So does volume. You need to have a body of work to start driving traffic. A home page and five reviews will get indexed but search engines will not view you as the authority in any niche with that little information. Depending on your niche, work as aggressively as you can towards 25 posts. In the past low-quality posts could rank. Even spinning had some use. Now spun articles are a bad idea and the lowest quality writing farms should be avoided. Expect to pay $50 for a 1000 word post from a quality lower cost worker. The higher-quality writers with SEO experience will be at least 50% higher. For starter sites, you can often negotiate packages of articles. At Rapiste we do both one-off articles, packages and monthly article writing subscriptions. None of these options is going to get you a top-tier writer or editor. The strongest writers will be $.10 -$.20 a word or $100 -$200 for a 1000 word article and $400 for a long home-page feature. As talented as they are, they are overkill for most niche sites. Another ranking factor is your linking. The backbone of off-page SEO is linking – back-linking. But many site owners neglect the importance of linking from within their posts. There are three types of on-page links to consider – internal, external, and affiliate. Internal links are links from your article to another page on your site. These links help tie together your information and provide context for search engines as well as the depth that you cover a topic. External links are links from your post to third-party sites. Affiliate links are your money links and should be tracked, measured and tested. You do need to be careful of abusing external and affiliate linking. A likely ranking factor is the number and type of outbound Links (OBL). If you have too many dofollow OBLs you will leak PageRank to these links, too many affiliate links and you look “spammy”. Internal links help search engines understand the article’s relevance. If you are discussing power supplies and you have an in-depth post about choosing the perfect power supply – link to it. It helps readers navigate your site. These links also demonstrate the depth of information you have on a topic. External links are links from your pages to third-party sites. Think of it as your sources and validation of your research. These should be highly authoritative sites. Find the most authoritative site for a quote or link to detailed information. These can be left do_follow depending on your overall balance. Affiliate marketing links should be managed for both SEO value and Click Through Rate (CTR) optimization. Too many links look spammy to users and search engines. All affiliate links should be no_follow. These call to action (CTA) links should be A/B tested for their page location, color, buttons vs. text, etc. They should be tracked by Pretty Links or a similar tool. Anchor text is the text that the viewer sees associated with the link. It can be a plain (naked) url link, an image link, or a text link with keywords etc.. The distribution of different link types for both external and internal linking is a key part of fine-tuning your site. Particularly for sites that can control the backlink anchors. You should be careful as it is also a place Google looks at closely for unnatural linking penalties. It is a topic that we will cover in a future in-depth post. Image links use the alt information for the anchor analysis. Naked anchors are the literal URL. And text-based anchors can be exact match, partial match, branded or generic. Once you get someone to go to your article search engines observe how long they stay. If a user bounces right away that is likely to be seen as negative SEO signal. But this is a bit tricky for affiliates. After all, your “job” is to get the visitor to Amazon. So a high-bounce rate is not necessarily bad for business. The trick is to understand if people are leaving your site because they think it is an affiliate fluff site or because they are heading off to Amazon to get pricing and reviews. Bounce rate is not clearly a ranking factor but it certainly is a conversion rate factor. You need to engage the audience and lead them to your CTA links. Your bounce rate is greatly affected by the presentation of the information. If you have multiple paragraphs without any images or other visual components readers will leave quickly. These walls of text are a sure way to lose visitors. You can break the text up with; images, block quotes, tables, videos, etc. Visitors are consuming information by a quick skim of your page. If you pull them in with video and illustrations your bounce rate will be lower and your SERP rank higher. Metadata is “data about data”. Now that’s clear, right? Think of these terms as all of the information that describes the structure and purpose of the article. Use the Title and H1 tag to define the post, h2 tags define sections and so on. Meta areas like meta-description and schema information let you provide specific instructions for search engines to understand your writing. This meta information is often manipulated so you must beware of many flags that can get you penalized. From unnatural densities of keywords in image alt attributes to inappropriate snippets. When in doubt, use a synonym or related keyword. Your primary keyword should be in your Title, H1 tag, first paragraph, meta description, and one img tag alt attribute and perhaps one H2. Any other occurrence should be scrutinized and a related keyword used if possible. It is important to use your heading tags (H1-H4) as structure, not for presentation purposes. Unless the document is very long with multiple “chapters” there should only be one H1 tag. Most themes automatically use the post title as the H1 tag so be careful to not duplicate it. H2 tags are a great place to add semantic keywords. Add your primary keyword once in the first or second H2 and related keywords in the rest. Images should all have alt attribute data. The alt attribute is used by visually impaired and other users of screen reader type browsers. It is a great place to have keywords and semantic keywords. Don’t overstuff with your main long-tail keywords though. There is also a title attribute for the img tag. This is less critical and not believed to have any SEO value but is used by some tools. Your title tag value has a large on page ranking factor. Definitely get your main keyword in the title (but just once). If you can also fit a related keyword and have the title work, even better. The slug is the unique part of the page/posts permalink. it is typically visible to a user when they hover over a hyperlink. The meta description is what you are asking to be used as the SERP description of your page. Google will create this but better to craft your own. It’s the first thing people see skimming the search results. The meta description and the SEO title value are easily set on the page with Yoast. Your site’s architecture has a direct influence on the visitors’ experience. There are a number of ranking factors related to this area. Sites need to be organized in a way that users can easily navigate around it. It is often based to have compartments of information on specific topics. A silo structure often works best for this. In addition to your site’s structure, there are other factors to consider. Page load speed is an important measurement. The difference between 1.5 seconds and 5 seconds will be many many users bouncing away. All sites should be secure and be using SSL at this point. Sites should be designed for mobile visitors. We are now in a mobile-first world. You must design for mobile users. With themes like Divi and Thrive, this is very straightforward. I create posts on a desktop, then reduce the screen size for a quick check of the tablet and phone settings. As the page window is made smaller the page dynamically adapts After the post is complete I double-check with actual phone and/or tablet. In a review site, you might have a setup like in the GuitarWorld image. Silo structures are a clear way to create branches of keyword related topics and provide a better experience for the visitor. From an SEO standpoint consider the silos and rooms that must be entered from the top. You don’t want to link from one article to another in different silos. Best practice is to not link to “cousins”. You want to maintain the topical purity of each silo. You can link to siblings, other articles in the same silo, to your parent or to uncles. Silos can be set up as either pages with a parent:child relationships or posts with categories to group the silo articles. Each child should be linked to their parent. The easiest way to implement SSL is to use Really Simple SSL plugin (free). This will force all HTTP requests to be https. If you find you are not getting the green padlock, there is a good chance you have mixed content perhaps a link to an HTTP: resource in a style sheet or template. You can diagnose these issues with sites like WhyNoPadlock. If you are migrating from HTTP to https: you need to be careful to not lose your HTTP rank. Be sure to add both the HTTP and https sites in your webmaster account. On-page SEO is not hard but is very important for getting organic traffic to your niche site. It requires a bit of methodology and discipline. In the beginning, a checklist is the best option. It is a lot to remember. You want to be like a pilot and go through the checklist- it’s that important. But it will soon be second nature. Google wants great content and that includes not just well written, but well structured and delivered in a fast and mobile-aware way. These items will take very little time and are sure to increase your SERP location. Use it for a page/post audit, or a new document checklist. You can simply check-off an item when it is completed. We will remember your checklist when you return so you will always know what still needs to be done. Or you can go to our Checklist for On-Page SEO page. Keywords should be placed in your content in strategic places. Semantic keywords can be used throughout as long as the page reads well. To avoid keyword stuffing penalties and still maximize their draw to your page, place your main keyword (likely a long-tail keyword) in the following areas. Your bounce rate is a measure of user engagement. If the user leaves at first glance, Google will note this. Bouncing to Amazon, of course, is good. Best to track your links and see when they leave. Metadata is the extra information provided to help create an understanding of your content. Or to make your content more accessible. 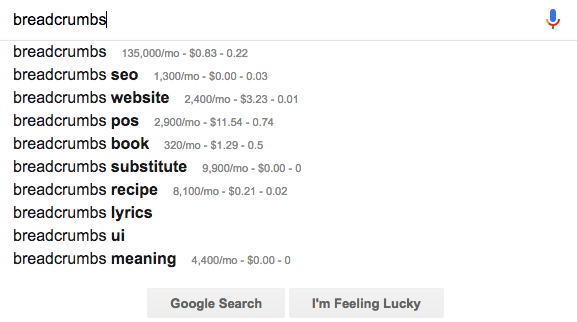 For affiliates, it is also important from a keyword position. Linking is critical to Google understanding the topic of your post. The combination of external and internal linking determines your relevance. Internal linking also strengthens the post being linked to. Affiliate links should all be nofollow. Content is your currency. It is what brings people to your site and encourages them to visit your partners’ sites. Length, originality, and quality are key. Your site architecture is the foundation upon which you serve your content. It should be structured for easy navigation, fast and mobile-friendly.